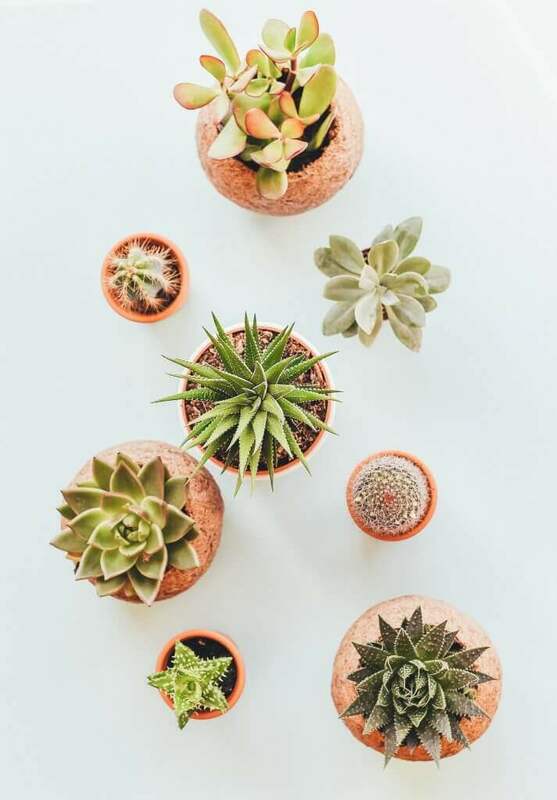 4 Easy and Beautiful Houseplants for Your Home — KTJ Design Co. Early last year, I read an article on the benefits of live plants in your home. Did you know they reduce carbon dioxide, increase humidity and tackle airborne dust? Wow—anything that creates a healthier environment is all right by me! Since then, I decided that I must incorporate beautiful houseplants into all of my interior design projects. There is only one problem: I tend to kill all my houseplants. How can I tell my clients they should have beautiful houseplants when I don’t know much about keeping them alive? In an attempt to tackle this problem, I went to a well-known nursery in town, become best buddies with the plant guy and ended up getting these four houseplants for my home. He assured me that they were easy to take care of—and he was right! Succulents are especially popular right now (just search #succulent on Instagram to see some real beauties). They’re popular not only because they are unique, but because they extremely easy to care for (thumbs up for those lacking green thumbs, like me). They only require good lighting and an occasional watering. Fiddle Leaf Fig is a house tree with large, unique leaves shaped like the body of a violin (hence the name). Fiddle Leaf Figs are easy to grow. They like indirect light (perfect for placement in a corner) and only need water when its soil feels dry. They grow to about 15 feet tall, but you can prune it back to scale to your décor. A beautiful and easy plant for a busy homeowner, the Fiddle Leaf Fig is my favorite. Snake Plant is a common houseplant with long, hard leaves that twist straight up like charmed snakes. Another beauty that doesn’t need a lot of care, it grows to about four feet tall. I like the variegated leaves because it adds lots of nice color to any décor. You may be wondering if I was successful with my houseplant resolution. Well, yes and no. I was so anxiously tending to my houseplants (determined not to kill them) that I overwatered them. Oops. It’s extremely important to only give these plants water when they need it. If the soil feels dry, I know it is time to water. But—and this is the important part—make sure the water only hits the soil, not the leaves. When one of my plant’s leaves started to yellow, I trotted myself back to my nursery buddy, and he told me that water hitting the leaves is not good. As a result, I invested in a cute little watering can with a long spout and plastic containers with drainage holes. Again, I learned this the hard way. With my first round of beautiful houseplants, I had picked out lovely pots with no drain holes (because you can’t have water draining onto your nice floors; plus, those saucers are so ugly)! This didn’t work out so well because plants need drainage. On my second round of plants, I put plastic containers with drain holes into pretty pots and covered the top with decorative moss or rocks. I once thought live plants were cheaper than faux houseplants—not true. Real plants costs a lot more. I tried to go the bargain route at the big box stores, but it did not end well (aka: dead plants). I found my best plants at a large nursery and carefully inspected them for bushy leaves, good color, and no brown or yellowing leaves. More importantly, I didn’t let the price tag influence my decision. I knew what plants I wanted, and I bought the best ones I could find. I picked out some great items over on Amazon for you. Will You Add Beautiful Houseplants to Your Decor? I challenge you to get over your fear of beautiful houseplants. Get quality plants, nice pots with drainage, and a watering can. Check the plants twice a month for dry soil and enjoy the cleaner air and prettier décor! If I can do it, so can you. Have you signed up for my newsletter? That’s where I share the rest of my monthly interior design secrets—and only with people on my list. Sign up now!